Crazy Book Reader: Frostbite by Richelle Mead, Review and Critique. Frostbite by Richelle Mead, Review and Critique. After discovering a little bit of the magic that Lissa can work with, the spirit, Rose is feeling much more relaxed. The medicine Lissa is taking, have her more, calm and with best mood, and that makes Rose happy. Lissa is a Dragomir Princess, a Moroi, an alive and good vampire. And Rose is a damphir, half Moroi and half human. The duty of Rose is to keep, her best friend Lissa, safe and protected. To get on with her school grades Rose has to go to an interview with an experimented Damphir. Dimitri, her really cute personal instructor, and with whom Rose is deeply in love, is driving her to meet this Damphir. But when they get there, they will find one of the cruelest crimes Rose had seen in her life, the murder of a big Moroi family, made by Strigois, evil and dead vampires, with human help, and the worse thing, a message of threat indicating that this will not be the only murder. This crime will provoke drastic changes for the Christmas vacations of the Institute. All the students will spend vacations in an ski resort in Idaho; this way the royalty Moroi might spend Christmas with family and simultaneously be protected. But the crimes would not stop and the threat will call to their door. The cruel murder of the mother of a Moroi student, make her and two of the best damphir students, Rose’s friends, run away of the ski resort, in search of these strigois. When Rose finds out this, she must come to help them, and Christian Ozzera, goes with her. After arriving there, they will face their worse dreads; nobody knows where they are so to be saved will depend only on their selves, not without their lives being in serious danger. Rose will have to face the remorses, the fear for the well-being her friend Lissa, the inexplicable fury which sometimes appears in her, the three boys that touch her heart and overcoat she will have to face the irreparable loss of a dear being. It is a book full of action, and completely entertaining suspense, when you think that there cant be more, Richelle Mead continue surprising you. This book is awesome, entertaining and finally heart-breaking. The story catches you from the first page and on to the last one, you will continue wanting more. The characters get more definition and you manage to know them better, fall in love with them and really worry about their future. The new characters, as Adrian, are a mystery and definitively you will want to know them better. A book that I charmed me, thrilled me, entertained me and affected me up to the tears. As soon as you start reading it you will not be able to give up it. Strongly recommended. Jewelry inspired on Angel Star. Tithe: A Modern Faerie Tale by Holly Black. Tithe: A Modern Faerie Tale de Holly Black. Featuring my Crazy Book Cat Rating!! Saturday Featuring Review, New Design !! 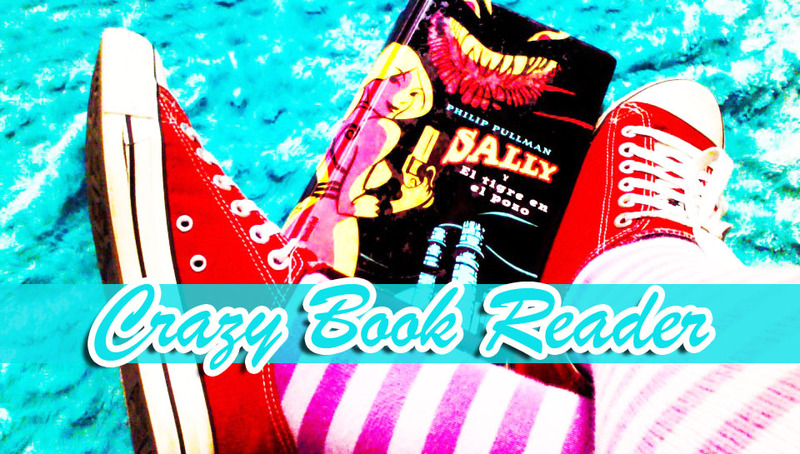 Follow Friday mi Blog de Libros!!! Debes leer en este verano: Sea de Heidi R. Kling. Sea by Heidi R. Kling Summer must Read!! Sisters Red de Jackson Pearce, Ya a la Venta!! Sisters Red by Jackson Pearce, Release Day!!! Frostbite, de Richelle Mead Reseña y Crítica. Everlasting de Angie Frazier, Ya a la Venta!! Everlasting by Angie Frazier, Released!! Dark Lover by J.R. Ward, Review and Critique. Dark Lover de J.R. Ward, Reseña y Crítica.